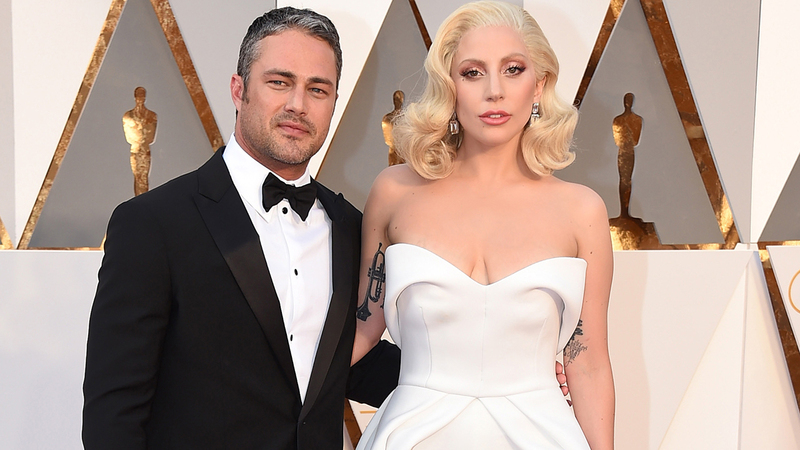 NEW YORK -- Lady Gaga and her fiance, actor Taylor Kinney, are on a break. A representative for the singer told The Associated Press on Tuesday that the couple is "taking a break." Gaga confirmed the news with an Instagram post early Wednesday morning. "Taylor and I have always believed we are soulmates. Just like all couples we have ups and downs, and we have been taking a break," she posted along with a photo of the couple with their shoulders around one another. "We are both ambitious artists, hoping to work through long-distance and complicated schedules to continue the simple love we have always shared. Please root us on. We're just like everybody else and we really love each other." Gaga and Kinney, a star on the NBC series "Chicago Fire," were engaged last year on Valentine's Day. They met in 2011 on the set of the pop star's "You & I" video. Gaga, 30, currently is working on her next solo album, which comes after 2014's Grammy-winning "Cheek to Cheek" with Tony Bennett and "ARTPOP," released in 2013. She won a Golden Globe this year for her role in the series, "American Horror Story: Hotel," and she was nominated at the Academy Awards for her song, "Til It Happens to You." Kinney, 35, also was in the film "Zero Dark Thirty."